Customer Service Manager, Rebecca Eckles, told us about a customer she was working with recently who had a very, very tarnished flute. In fact, Rebecca recalled that it was essential black from tarnish. 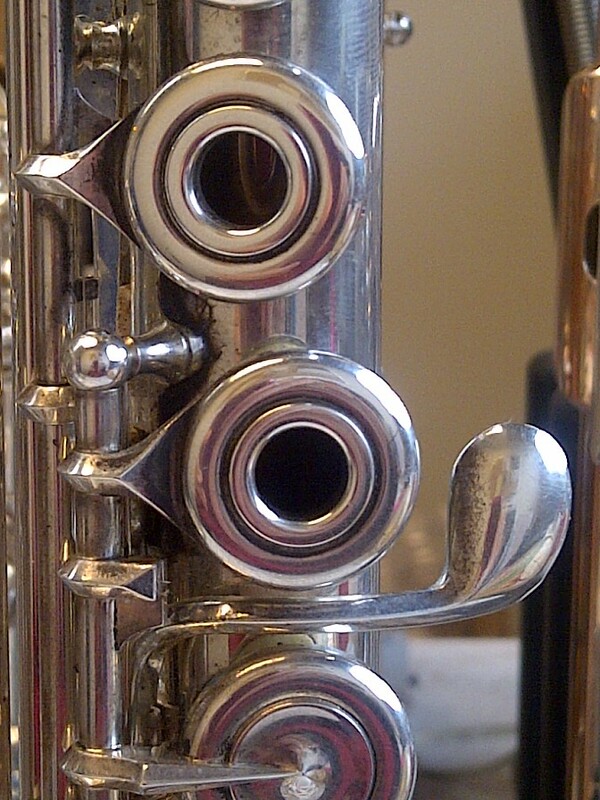 The customer sent the flute in for a COA, and it was revived beautifully -- tarnish removed, and sparkle restored. The flute was then sent back to the customer, and it was blackened with tarnish once again, as soon as she started playing it. Often times, when this happens, customers ask Rebecca, "Why did this happen? This never happened with my other flute(s)..."
As for the question on why the other flutes didn't tarnish, well, it all depends on the metal and plating. Knowing the metal content of your flute is very critical. Sterling silver flutes could tarnish when played by people with acidic hands, but if that person previously played on flutes that were not sterling silver, the tarnish problem would not occur. The other flutes may have been nickel-silver, or perhaps they were nickel-silver with silver plating. Perhaps the keys were made of a different metal than the body -- which is always a choice with Powell Custom flutes. So, if you are experiencing a tarnishing problem with your flute, or if you are looking for a new one, it really is important to think about the flutes you've played in the past. Try to think about how they responded -- did they tarnish? Keep records of the models and their specs -- especially the metal content of the body and keys. This will help diagnose problems if they arise (like the "quick tarnishing") and truly help you pick the best flute for you!